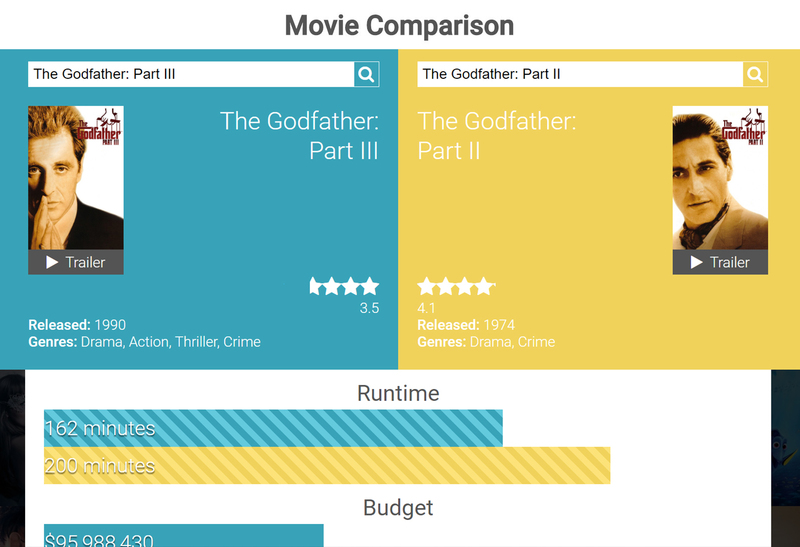 This web app was a project I created during my final semester in the School of Visual Communication at Ohio University in collaboration with Melissa Wrensch which compares the ratings, budgets, and revenues (with an inflation toggle) of two searched movies. After a few quick sketches, we went straight to the browser because we knew we would be iterating and the project's primary focus was functionality and secondary focus interface design. We used Cloud 9 to simultaneously work on the files (similar collaborative live updates to Google Drive, but an IDE). Being new to both of us, there were a couple hickups with its version control, but it was an overall success. As git (or another version control software) was new to us at the time, we opted to use a more approachable collaborative environment. 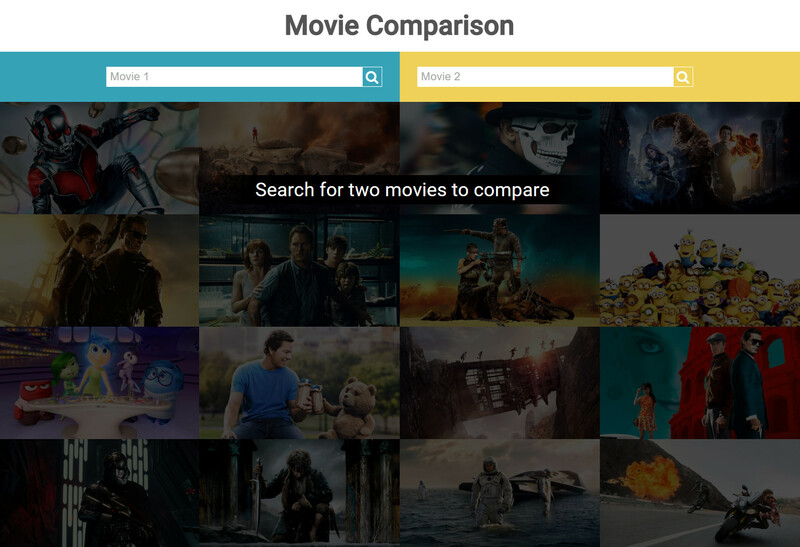 Melissa and I created this app through themoviedb.org's open API through simple AJAX calls. We were then able to create the interface and display the data from the returned JSON files. I handled most of the interface's progressive creation, while Melissa tackled the inflation toggle which dynamically updates the comparative bar graphs. This project reinforced my understanding of creating a simple, dynamic interface as well as making calls to external resources for data visualization on the front end.